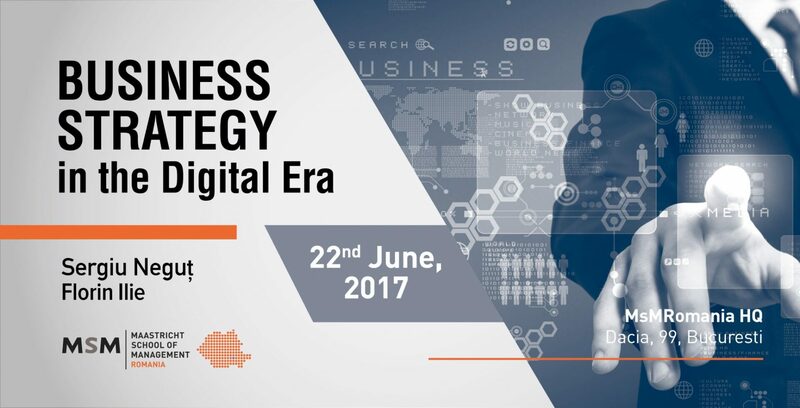 We are pleased to announce our upcoming MasterClass, on the subject of Business Strategy in the Digital Era, taking place Thursday, the 22nd of June 2017, starting with 18:30. Our hosts for this class will be Sergiu Negut, Associate Dean for Entrepreneurial Growth and Adjunct Lecturer of Entrepreneurial Business, and Florin Ilie, Senior Adjunct Lecturer of Strategy. This masterclass is designed for prospective students of MsM Romania, to provide you with an in-depth and interactive experience with the school. During this event, you will meet two of our top lecturers, have the opportunity to learn about academic life at MsM Romania and have a taste of what an Executive MBA course involves. The 21st century business is ever more complex – new industries, new jobs and roles, new opportunities and risks. New professions and new branches of industry spring up every few years. New technologies are gaining momentum and altering the structure of competition, the way business is conducted and how performance is gained across industries. Businesses are forced to constantly reinvent themselves. And these businesses need trusted advisers who can understand them in detail. Advisers who can understand opportunities, not just risks and who can go beyond the tactical to the strategic. What is strategy? Where does strategy come in when organizations develops their business? How does one choose between tactical and strategic priorities? What is an adequate risk level? These are simple questions with ever more complicated answers. Our course aims to tackle the vast area of growth strategy in the context of an increasingly digital business landscape. 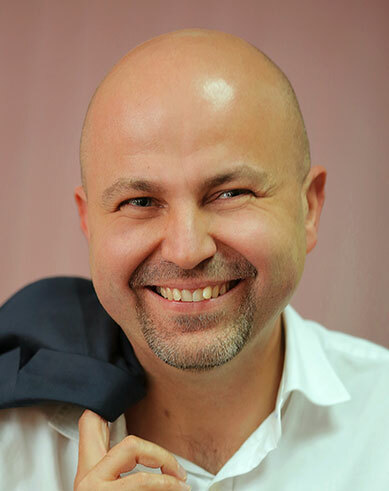 Sergiu Negut is a consultant and Board Adviser, specialized in entrepreneurial growth and organizational transformation, speaker and Associate Dean of Entrepreneurial Growth at Maastricht School of Management România. To this day, Sergiu has invested in local businesses, such as frufru, 2parale, Softeligence, or Intermedicas. 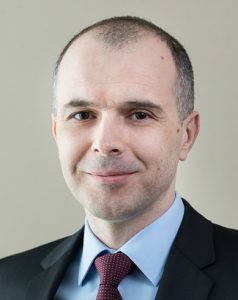 Until 2011, Sergiu Negut was acting as Executive Director at Regina Maria, where, together with the founder of the clinic, he contributed to the company`s growing tenfold, through a mix of organic growth, greenfield developments and acquisitions, including selling the company twice to investment funds. Before Regina Maria, Sergiu Negut coordinated from Austria and Switzerland the East-European expansion of Amgen. Sergiu graduated as MBA from INSEAD and holds a licence in Computers from the Polytechnic University of Bucharest and a licence in International Relations from the Academy of Economic Studies. Florin Ilie is ING Bank Romania`s Head of Financial Markets Corporate Sales for Central and Eastern Europe. Florin has been working with ING since 2004, where he has previously held the position of Head of Financial Markets. Florin is ranked among the top three analysist of financial markets in Central and Eastern Europe according to Extel vote of July 2012, organized by Thomson-Reuters among international institutional investors. He has worked in banking, consultancy, diplomacy and academia and has authored or co-authored a number of specialized papers in the fields of economy and finance. Florin is a member of the Index Committee of the Bucharest Stock Exchange, of the Association of Financial-Banking Analysts of Romania, of the Harvard Club of Romania & Moldova and of the Romanian Aspen Institute. Florin is a graduate of Harvard University (Master in Public Administration, with a major in Financial Markets and Analysis, 2002- 2004), of the University of Manchester (Master in Economic and Social Studies, with a major in European Politics & Policy, 2000-2001) and of the Academy of Economic Studies in Romania. Please confirm your attendance at this event by filling in this form. For more information please contact us at laura@msmromania.org or ++40758.818.158.